A comfortable changing room is provided free of charge if required. 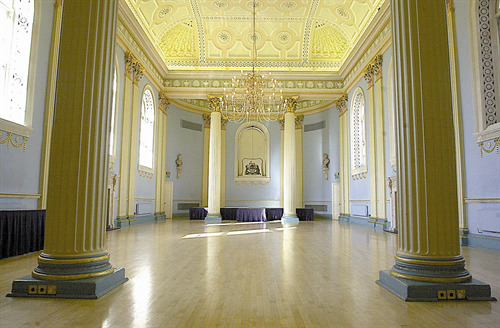 Various layouts can be arranged to suit your individual requirements. 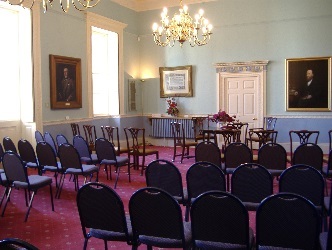 The Council Chamber may be used to assemble guests prior to attending a function in the Georgian Ballroom, free of charge, subject to availability. Access onto the Balcony overlooking the Market Place. Ideal for small functions requiring a more intimate setting. 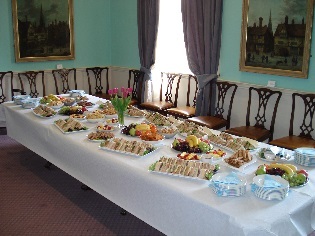 Located next to the Bar area which can be used for additional space by arrangement.